Natural capital includes all renewable and non-renewable resources and processes provided by nature, in goods or in services. For example, it includes the provision of energy, medicine, water, wood, cotton and fish, and of pollinating crops and storing CO2. But it also includes recreation, inspiration and natural examples that help us find innovative solutions. In short, natural capital forms the basis of our social and economic lives. 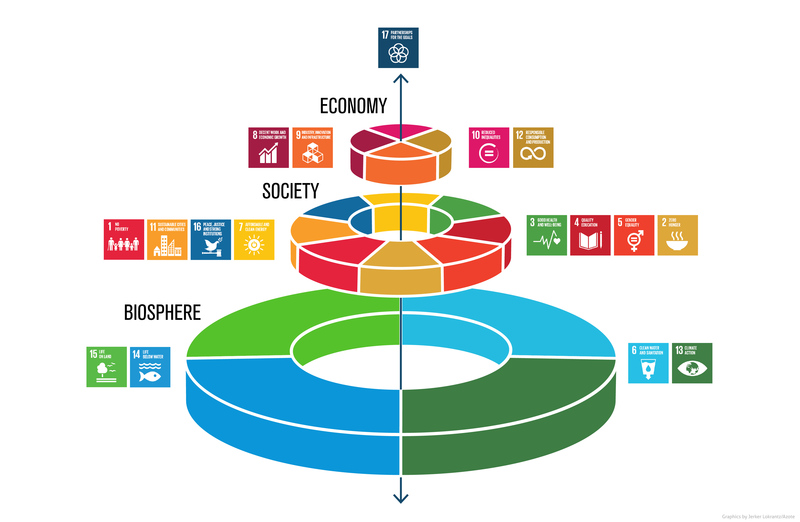 It is also recognized that the sustainable consumption and use of our natural resources enables us to reach the Sustainable Development Goals. How can you best use this natural capital for your business, supply chain or region? How can you incorporate natural capital into your company policy or ISO 14001 process? How do you help your company to focus on this topic? The answers to these questions help natural resources to remain available in the long term, give you an overview of related opportunities and risks, build support for your efforts among stakeholders, and ensure sustainable use of biodiversity and ecosystem services. Developing practical tools that can measure the impacts, dependencies, opportunities and risks in the area of natural capital. Implementing the Natural Capital Protocol (a universal standard for measuring and valuing natural capital for businesses). Trend watching, or showing which trends in the availability of natural capital could be of importance for you, such as the regional availability of raw materials and water. Identifying ways to take advantage of opportunities and minimize negative impacts (do good / do less harm). Developing effective strategies and policies, including embedding natural capital in existing CSR policy. Using ecoregional principles by including the value of natural capital in a landscape approach with different stakeholders, such as a combination of agriculture, residential interests, infrastructure, recreation and nature. Determining the (quantitative) biodiversity and natural capital footprint of products and processes.